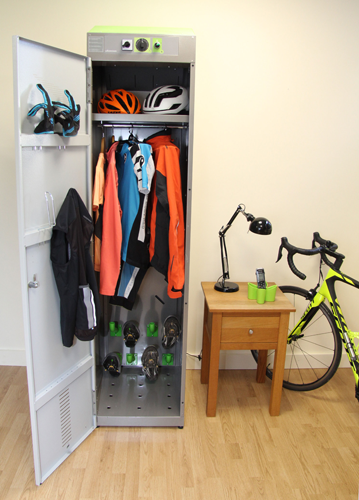 Group locker for cycling clothes and shoes. No longer will you ave to put wet and damp clothes on to cycle back after a wet ride. 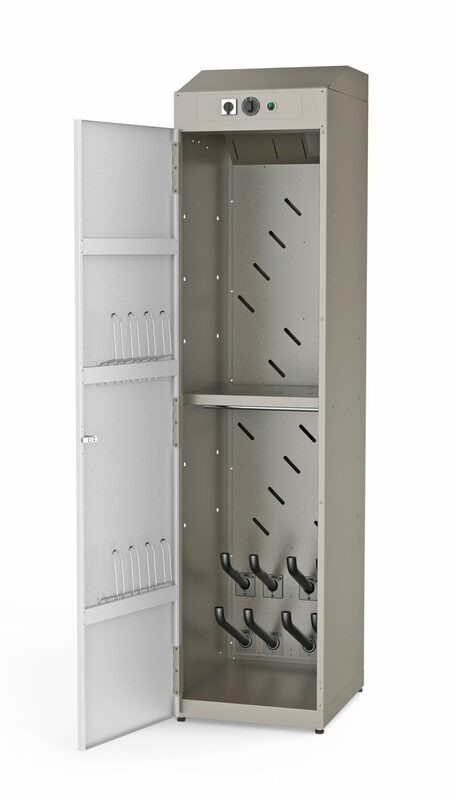 Our Drying locker offers a drying solution for 2-4 complete sets of gear including boots and gloves. Can also be used for domestic use when a large active family has lots to dry. How long does it take to dry the clothes? Are items in the locker safe if left unattended?